This is a page in progress. June 29, 2006. 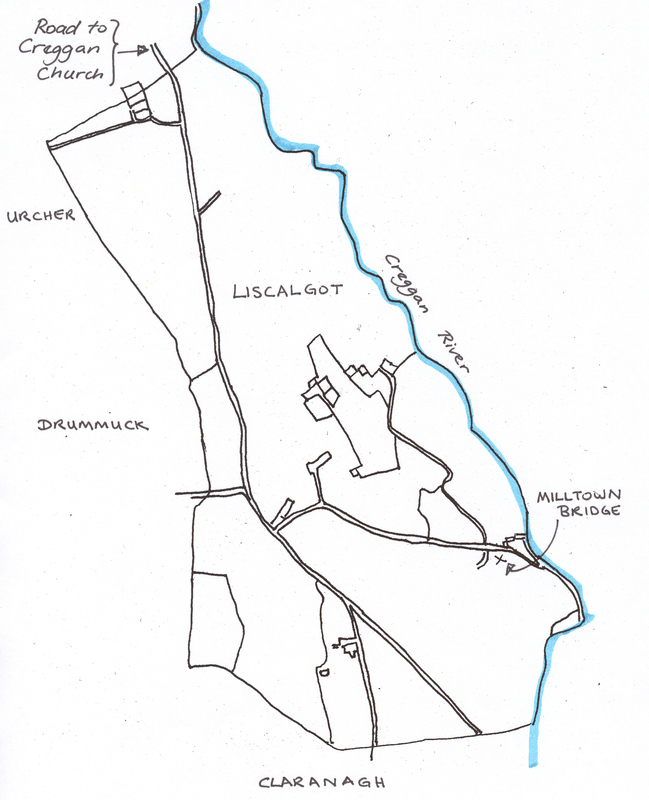 Liscalgot is a townland with 220 acres within its boundaries and is situated 2-3 km. east of Crossmaglen, just south of Creggan Church (one can walk there by way of a path behind the church). It is bounded on the north by Cregganbane, on the east by the the Creggan River, on the south by Claranagh and on the west by Urker (towards the northern part of the townland) and Drummuck (beneath Urker). The name "Liscalgot" means either the "Champion's Fort" or "The Fort of Stagnant Water" (depending on which source is used). The population of Liscalgot shrunk in Sir Thomas Jackson's lifetime from 126 inhabitants (1841 census) to about 35. 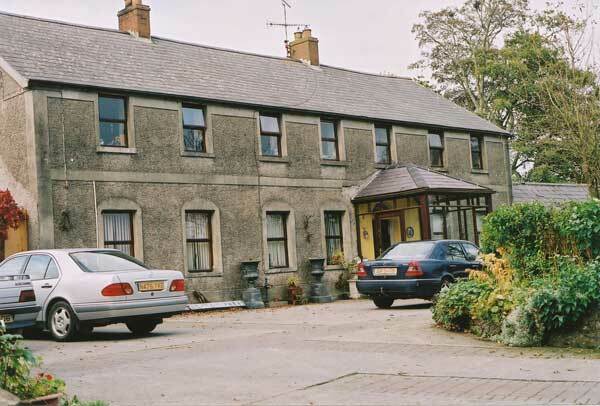 None of the family remain in the townland, although descendants lived at nearby Urcher Lodge as recently as the late 1970s. The Charter School at Liscalgot opened in 1737 (SOURCE: A Brief Review of the Rise and Progress of the Incorporated Society in Dublin). If George JACKSON started as a schoolmaster at this time (and this seems likely - based on family lore), then he would have been 19 years old. Annual subscribers for Cregane, County Armagh included Rev. Hugh HILL, Thomas TIPPING, Randle DONALDSON, Francis HALL and John JOHNSON [Ibid.]. George JACKSON first shows up in the Creggan Vestry records in 1742, and later in the 1766 census and then in 1828, we see the family names of Samuel GILMER, E. JACKSON and Thomas. Peter, Pat and Manus LOY - quite possibly descended from the unnamed LOY who married Alice, a daughter of George JACKSON and Margaret O'LAUGHLIN. These names continue in future records. Beneath the map, hyperlinks to documents concerning Liscalgot will be added as I process and post them. Update: There is a reference in a letter dated 1880, December 1st : Liscalgot House is nearly finished. It is a better house far than Cavananore. Updated May 12, 2010 - photos added. This is a painting that currently hangs at Liscalgot. I do not know the date of it, nor who did it. It was probably done at the time that the GILMOREs still resided there. This is the view of Liscalgot as it looked in 2003. The current residents were kind enough to invite me in for tea. 1770, April 9 - Indenture between JOHNSTON & JACKSON This indenture covers the lands at the south end of the townland. 1782 Will of George JACKSON of Liscalgot This is my 5 times great- grandfather. 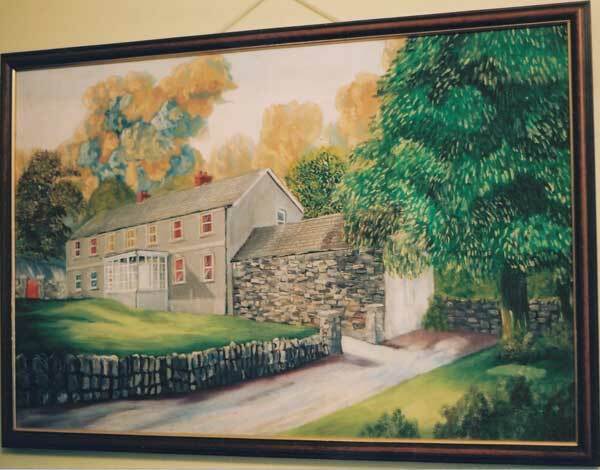 He came to Liscalgot as a schoolmaster at the Charter School. Letters There are many references to the GILMORE family of Liscalgot in these letters - primarily to Eliezer GILMORE, his wife Sarah JACKSON and their children.